David Rich will be ready to swim from France's Corsica to Italy's Sardinia - 15 km of Mediterranean currents and gorgeous water! What better way to enjoy a summer's day crossing the Strait of Bonifacio? Water World Swim's Coach Alessandro Gottardis will be leading the crossing, with the window to cross starting on July 8. Weather conditions in the Strait are unpredictable, thus requiring a window - usually around 5 days - before deciding the right conditions to begin the swim. 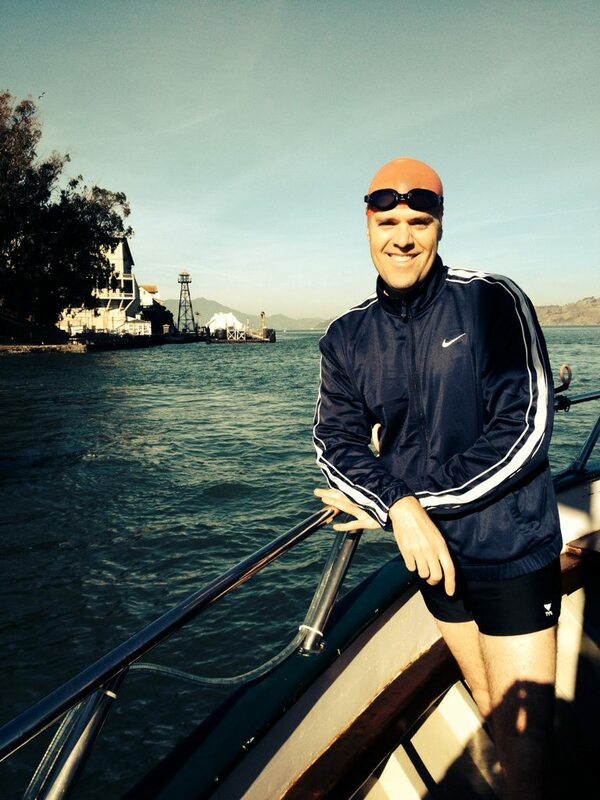 David Rich is an American technology executive and long-distance swimmer from San Francisco, California. A competitive pool swimmer since age 6, David transitioned to open water swimming when he started competing in triathlons in the late 1980's. Since then, he has been training and racing year-round in the San Francisco Bay completing the distance from Alcatraz Island to San Francisco over 30 times. David has traveled the world as an early pioneer and competitor in numerous relay and solo swims, some across continents including: the English Channel (relay from England to France) and solo swims across the Strait of Gibraltar from Spain to Africa, the Maui Channel in the Hawaiian islands, Lake Windermere in England, Lake Zurich in Switzerland and the Dardanelles Strait in Turkey which separates Asia from Europe. David is driven not only by the challenge of these swims, but the enjoyment of the journey which includes learning about and experiencing the people, culture and waters of these diverse regions. David lives with his wife and 2 children in San Francisco where he enjoys contemporary art, photography, sports and the great restaurants in the city by the Bay. This swim is made possible help from the seaside towns of Bonifacio and Santa Teresa Gallura, including all medical equipment and first aid, inflatable boats with captain and assistants. Want to swim the Bonifacio Channel or take on other major swims? Water World Swim can help you make the epic crossing of your dreams - from frigid waters in the Strait of Magellan to the summer water of Italy's Bonifacio and plenty in between! We've helped swimmers cross the English Channel, Messina Strait, Beagle Channel, and more. Get in touch!